ATC Garlic Oil helps prevent hypertension and heart disease by regulating cholesterol and sugar levels in the body. It can also relieve cold and flu symptoms, assist in the management of mild upper respiratory infection, strengthen the immune system and lower density lipoproteins and blood pressure. 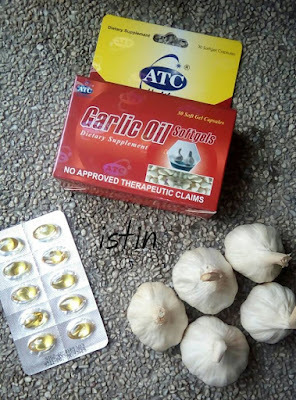 Note that, ATC Garlic Oil is not a medicinal drug and should not be used to treat the symptoms of any disease. ATC Garlic Oil, Mabisang Aksyon kontra Altapresyon.